Innovation is the bedrock of development; unfortunately it’s the beginning of misfortune for many people ignorant of using it to their advantages. As a personal finance educator and adviser, I am deeply concerned about the detriment of mobile banking and it’s agency to personal finance of ignorant masses. Everytime I walk pass any of the mobile agency kiosk, shop or office, I am more than feeling bad than good when I see people line-up which in most case from my personal research is to withdraw rather than save. In reality people hardly use this opportunity in disguise to save except to transfer money to someone else. I love and welcome innovation and wish people take time to understand that innovation is meant to better our live rather than harming it. But, it is awkward to see people sentimentally adopting innovation to their detriment. According to Henry Ford “Thinking is the hardest work there is, which is probably the reason why so few engage in it.” I have found out that it takes serious and concentrated thinking to figure out the positive side of things but nothing for the negative, such is the case of mobile banking and mobile banking agency. While mobile banking and its agency is a recent innovation in Nigeria, it all started with the Automated Teller Machine (ATM) and most especially the use of Debit Cards popularly known as ATM cards to withdraw and shop both online and offline. Since we are still a nation with citizens who highly believe in cash, the use of debit cards on Point of Sales (POS) Terminal is not as common unlike withdrawal from ATM Machine until the advent of Mobile Banking Agency that gives people the opportunity to withdraw cash as usual from their bank account with their debit card without going to a long distance and spending additional transportation. Been part of the system, I am aware that the best way people view and describe entrepreneurship at this era is from problem solving perspective. One of such solution is mobile banking and its agency. In the world today, the financial technology (aka fintech) industry is the toast of investors and entrepreneurs in this industry is doing a great job in using technology to find the best way to accept and make payment and interestingly to save money. Mobile banking and its agency is a technology and innovation created to bring banking closer to people and to reach the unbank population to encourage cashless society as one of the solution to ensure safety of life and properties among others. Regrettably, traders expected to use the POS terminal to their advantages to encourage more purchase hardly use it until the arrival of the mobile money agency. Today, we have more than enough of this agency using POS terminal than traders. In a recent time, the financial technology with the help of mobile banking and debit cards also make it possible to save towards a target e.g. piggybank, access soft loan, create jobs, make starting and running business easier among other financial opportunities. The questions are; are you one of those who are using mobile banking and its agency to your advantages? How do you know if this technology is your friend or foe? A little analysis will clear the doubt. This is not an automatic statement; the reason why I have to take time to elaborate on the advantages of mobile banking and mobile banking agency. At the commencement of using ATM in Nigeria, I am one of those who hate it, not for anything but the proximity to your money, since I am aware of how sentimental and indiscipline people are about money. It takes someone with strong disciplinary traits to withstand the temptation of spending more than expected when you have it at hand of closer to where you can have access to it. With mobile banking agency, do you know that apart from the ultimate disadvantage of encouraging overspending you are as well spending more through cost of withdrawal among others, since there is every tendency of smaller withdrawal and transfer every now and then? At every withdrawal, you pay the agent charges or pay charges for almost all transfer. Apart from that, every transaction alert attracts charges. And when using the apps which are the best, you pay for internet data. 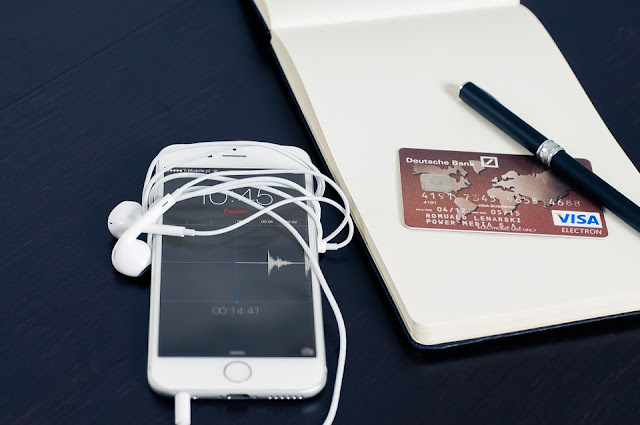 If you are conscious about your spending and care about being financially free, you will realized that while mobile banking creates an avenue for cheaper, easier transactions, it means bigger profits for banks. If you are business conscious, you will know that mobile banking and its agency is a business in competition with its physical banking. While you are taking advantages of mobile banking and mobile banking agency creating an avenue for cheaper, easier transactions and making running business become easier. You should be among the few who use this innovation to get better financially. If you have being nursing the idea of starting your own business, this could be a great opportunity in disguise. Starting a mobile banking agency require little startup capital with good daily cashflow that could be more than your monthly salary you are proud of. With daily income ranging from N2,000 and above stress free with little overhead expenses, you will be earning a living with lots of time to improve and add more products and services to scale up. You can take advantage of this innovation to cultivate savings culture as mentioned above using Piggybank or Cowrywise to automate regular savings lock up for a certain period with your debit card. A possibility made possible by the same fintech technology. This same innovation has make micro and small loan possible without collateral most especially for people working in a reputable company of with government agencies. It’s an opportunity to plan towards your exit, to invest in small business as shareholders through such avenue as Lagos Angel Network, invest in income generating assets or start your own business either full or part-time. Piggybank or Cowrywise is a fintech innovation made possible by mobile money. You can create a product or service with this same technology most especially for the unbank population. Be wise, don’t be fool to believe banks have your interest in mind. Every products, services, innovation is to make more money. While that could bring some benefit to you indirectly, it is your duty to utilize their innovation to your own advantage. Mobile money and its agency is not an innovation to directly better your financial life, in reality, reverse is the case, it is to influence you to spend more of your money frivolously to their advantages, but you can turn the table around.